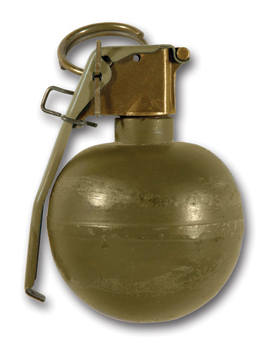 M-67 fragmentation grenade From en:Airman magazine, a publication of the en:Air Force News Agency. Volume L Number 1, Winter 2006. 이 파일은 미국 공군의 공무원이 직무상 작성한 미국 연방 정부의 저작물이므로 퍼블릭 도메인입니다.